This is 3 sections of airframe from a very famous Messerschmitt 109 flown by very famous ace and are very rare to find there is very little about.The aluminium airframe sections have some original black and gray paint remains they have all ripped and bent by the impact of the crash but are in lovely clean condition and the parts are 2-3 inches long.These parts was recovered from German Messerschmitt 109 number 6713 which was shot down on the 21st June June 1941 and crashed in Northern France the pilot was Adolf Galland. A very nice and very rare parts from the famous Adolf Galland Aircraft. perfect for display and comes with a 5x7 laminated information sheet. 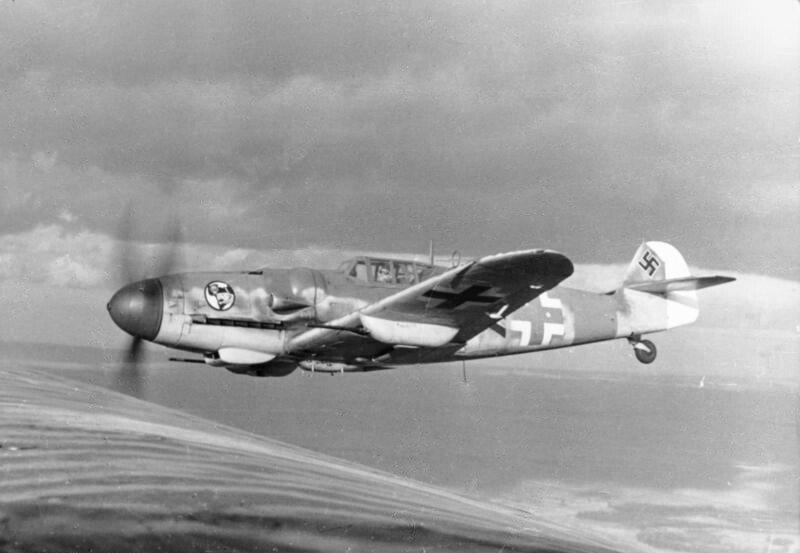 Messerschmitt 109 work number 6713 of JG26 flown by Leutnant Adolf Galland shot down 21st June 1941. This is an interview with Adolf Galland done in 1994. I was on the 21st June 1941 stationed at airfield in the Pas de Calais when we scrambled to intercept British raiders. We had attacked some Bristol Blenheim bombers and I shot down two, but some Supermarine Spitfires were on me and they shot my plane up. I had to belly-land in a field until picked up later, and I went on another mission after lunch. On this mission I shot down number 70, but I did something stupid. I was following the burning Spitfire down when I was bounced and shot up badly. My plane was on fire, and I was wounded. I tried to bail out, but the canopy was jammed shut from enemy bullets. So I tried to stand in the cockpit, forcing the canopy open with my back as the plane screamed toward earth. I had opened it and almost cleared the 109 when my parachute harness became entangled on the radio aerial. I fought it with everything I had until I finally broke free, my parachute opening just as I hit the ground. I was bleeding from my head and arm, plus I had damaged my ankle on landing. I was taken to safety by some Frenchmen. The parts from this aircraft is the second plane he was shot down in that day they were recovered by the late Alan Brown in August 1996.